Claire graduated in medicine from Bristol University, where she also completed a BSc in Pathology, before moving to London to become a Paediatrician. There she spent 2 years on the Imperial College Training Rotation before taking up a post at Great Ormond Street Hospital. She then worked as a Specialist Registrar in Clinical Genetics at Addenbrooke’s Hospital, including 9 months as a research fellow working on stem cell biology. Between 2009 and 2013 she completed a Ph.D in Developmental Neurobiology at the University of Cambridge. Whilst in Cambridge she became increasingly interested in the world of technology startups, participating in startup weekends and many other entrepreneurship-related events. She advised several health startups run by engineers and MBA students during this period and founded the Doctorpreneurs community and website as a way to connect medics who shared an interest in health entrepreneurship. Recognising that in startups she had found an approach to life and work that both excited and energized her she knew it was time to commit full-time to that world. The opportunity to do creative work whilst tackling important real-world problems, and to spend each day with smart and interesting people from a broad array of disciplines working together towards truly ambitious goals, were compelling enough that the decision was ultimately an easy one. 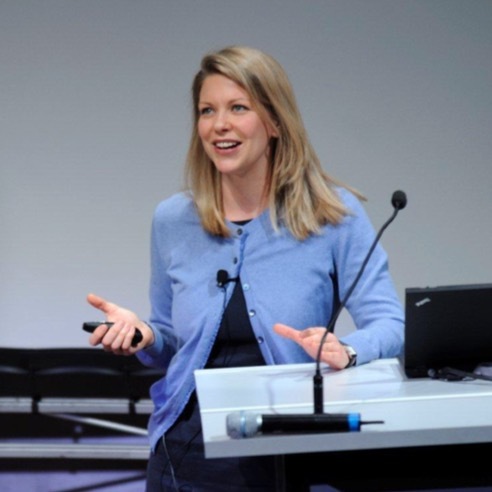 Claire is the co-founder and current Chief Medical Officer of the technology company, Ada Health. Ada has developed an innovative technology that uses AI and machine learning to support primary care physicians and specialists with clinical decision making and provides patients with personalised health assessments. Ada Health is a team of doctors, scientists and entrepreneurs spanning Berlin, London and Munich.